Not necessarily. If they request a song we don’t have then we use the cell phone to look up and play the song. As soon as possible to secure the date needed. Client’s choice and depends on event but usually suit and tie. 50% to secure date & final payment due 10 days prior to event. 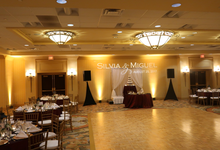 Saenz Entertainment has been in the industry for over 25 years and is family owned. 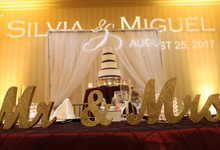 Our mission is to provide you with the best service from the early planning stages of your event to the very end. 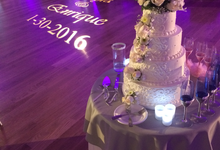 We make it a point to stay in contact with you to follow-up and assist you in any way we can so that once the night comes, you are relaxing and enjoying yourself while we take care of the details. We're here to help.